DAMZELS have been helping Toronto celebrate our inner Pin Up girl for 20 Years! 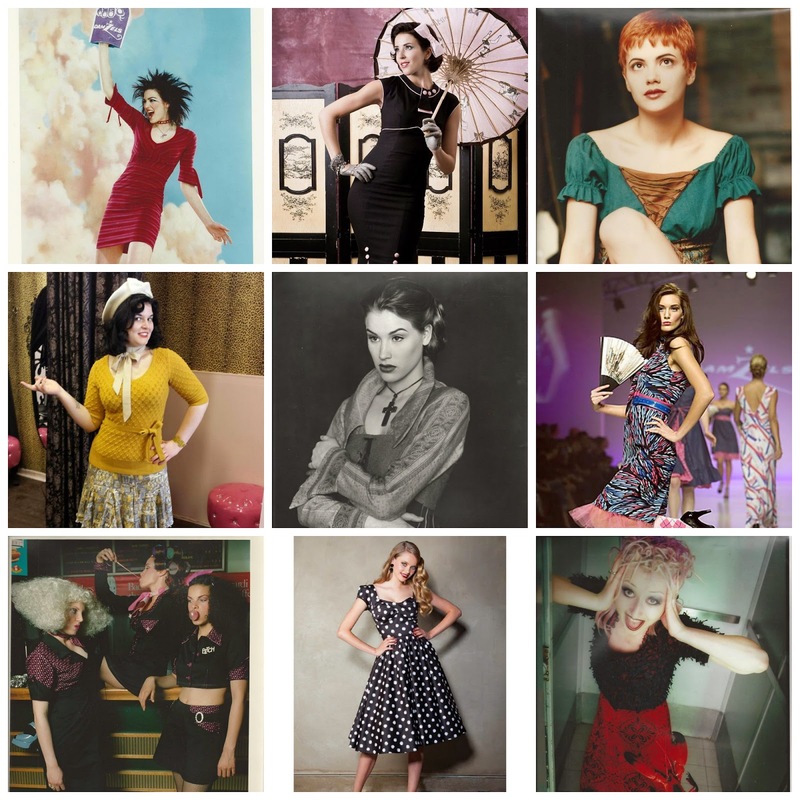 That is 20 years of designing and procuring women’s clothing for alt/vintage/pin up/rockabilly/repro scene. Not only has their presence helped to solidify a place for us in Toronto, but they have given back to their alt/cult community time and time again. Damzels in this Dress; designed by Kelly Freeman and Rory Lindo, were a vintage/rock n roll inspired dress label that before opening retail stores in Leslieville and Roncesvalles (popular neighbourhoods in Toronto), sold their dress brand wholesale to boutiques. Their dresses were sold across Canada, the US, and internationally. The Damzel collections have been shown during Toronto Fashion Week, featured on Fashion Television, Canada’s Next Top Model and even Much Music (Canadian Version of MTV). Damzels – past and present! The ladies knew that by opening their brick and mortar stores it gave them not only a chance to build their house brand up locally but also bring great clothing, shoes and kitsch brands to Toronto. 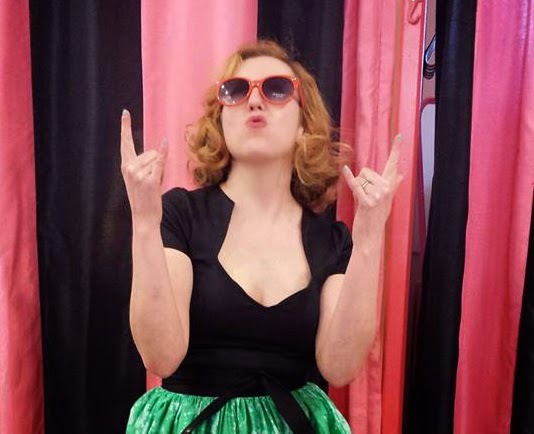 Why pay for shipping when you can get brands like Pin Up Girl Clothing, and Trashy Diva right around the corner…while you are at it – pick up some fab shoes, accessories and cheeky gift items all in one shopping trip!! The accessibility to these unique brands, allows us to live and breathe this unique style daily! Damzels also gives the “curious” (aka those who don’t dress regularly in retro styles) a chance to dress up and add a little sass to their lives. Some of their amazing (and loyal) clientele! You would think that running 2 stores and an international online business would keep them too busy to breathe…well Kelly and Rory never cease to amaze with their in-store events that help keep that cult community strong. Their Back Lot Bonanzas, Beat Caves and Seasonal Extravaganzas give their clients, friends and fans a chance to celebrate what they’ve built on an intimate level. Everyone should attend a Damzels event at least once in their life! The Damzels let TVS get to know them…and if you have been lucky to meet these great, energetic, generous and often wacky ladies…then you will see why everything they have built is so infectious. They are are as lovely and unique as the brand and community they have built. 1. How did you meet and how did Damzels get started? We met in the fashion program at George Brown College Kensington Campus in 1991. We had sewing machines next to each other and shared the same taste in rock n’ roll, vintage clothing and beer! In 1993, we started buying rolls of fabric together and making clothing that we would sell at outdoor festivals, craft fairs…even a Medieval Festival (yes, when we went vintage we went really vintage like 1500’s ) We started building a following of gals that would come out specifically to buy our dresses. Next thing we knew we were getting orders from local clothing stores so we decided to open our first design studio on Spadina and the birth of Damzels in this Dress in 1994. 2. What did the “scene” look like when Damzels got started? That was 1994! Grunge, rave, glam, it was all part of the scene at that time. However, around ‘96 we started Lindy Hop lessons and it became a way of life for us for several years. Our line had always been inspired by the past, and we fell in love with the fashions of the 30’,40’s and 50’s while part of the dance community. We were very fortunate because at that time the originator of swing dance, Frankie Manning, and his dance partner the “Queen of Swing” Norma Miller were regularly apart of Lindy Hop workshops that we attended. It was an incredible and special experience to get the opportunity to learn from the folks that basically invented the dance. Pretty crazy because at the same time, the bright shabby chic of rave culture was in full force, so it was a fun challenge to try and incorporate our love of vintage into the mid 90’s mayhem of wide leg pants and soother necklaces. 3. 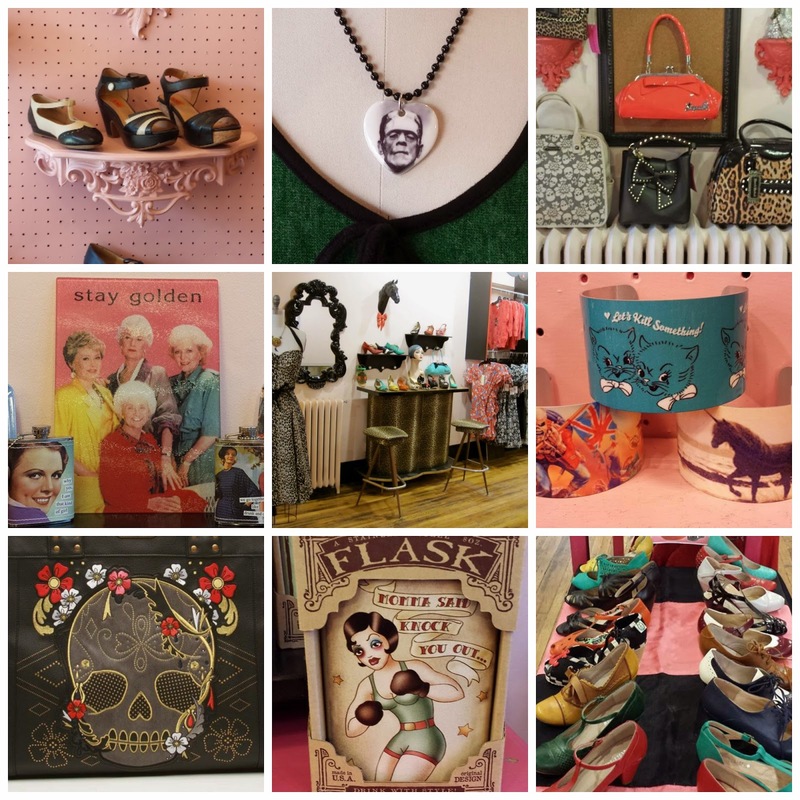 How does vintage inspire what you choose for your stores? Our passion is being able to bring modernity to vintage styling. We love mixing periods to make something fresh and fun. Ultimately, we’re looking for styles that are going to be flattering on women of all shapes and sizes, and the vintage aesthetic fits the bill. Our brand specializes in dresses because we love the simplicity of being able to put on a single garment, and look great from head to toe effortlessly. 4. What has changed for Damzels over the last 20 years? We opened our retail shops Doll Factory by Damzels in 2006 and now only produce the Damzels label for our stores instead of selling wholesale to other retailers. This gives us the opportunity to do small, unique runs, really get to know our customer base, and offer something that is exclusive to our locations. 5. What is up next for Damzels? More dresses, more parties, more rock n’ roll! This picture of Kelly kinda sums it up! Join in the 20th Anniversary celebration in-store on Thursday, October 23rd at Damzels East or Damzels West and enjoy 20% off your purchase from 11am to 9pm. Treats to be served after 6pm. …AND if you were lucky enough to RSVP in time for their Gala Event…then TVS will see you there (P.S. Vintage Inn will be there, so be sure to follow me on Instagram to check out up to date pictures of this fashionable evening). A Damzels timeline of awesome! Way to go, Damzels!!! 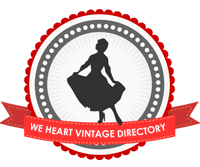 I love that they’ve been a part of the Canadian vintage/pinup scene for two full decades. That no small feat, especially in recent years (with the state the economy is in, I mean), and I sincerely hope they’re able to keep going strong for another twenty and well beyond. It is a pretty amazing feat in a world that is so fickle with their fashion. Clearly Damzels has found their niche and are still going strong. I had the pleasure of attending this fabulous Gala event last night, celebrating 20 years of fabulous pinup fashion in Toronto!